The US Justice Department expressed concerns that new restrictions regarding eligibility for Oscars could "suppress competition." Los Angeles: It may already have Oscars under its belt, but Netflix's acceptance by the Academy of Motion Picture Arts and Sciences hangs in the balance. The prestigious body is set to re-examine whether the streaming giant will remain eligible for such awards, despite a warning from the US Justice Department that could violate antitrust laws. "We've received a letter from the Dept of Justice and have responded accordingly," the Academy said in a statement, confirming reports in Variety magazine. Film director Steven Spielberg has suggested that Netflix films should not be eligible for Oscars, but instead for Emmy Awards handed to the stars and creators of television shows. "Once you commit to a television format, you're a TV movie," said Spielberg, who is set to work with new streaming platform Apple TV+. But for US authorities, "such conduct may raise antitrust concerns." In its letter to the Academy, the Justice Department expressed concerns that new restrictions could "suppress competition." The Academy, for its part, simply says it will meet on April 23 for an annual meeting on the rules of the Oscars. Netflix declined to comment, but last month tweeted: "We love cinema. Here are some things we also love: Access for people who can't always afford or live in towns without theatres; letting everyone, everywhere enjoy releases at the same time; giving filmmakers more ways to share art." US antitrust laws exist to regulate businesses to promote fair competition and protect consumers. Recently, authorities blocked the takeover of media giant Time Warner by telecoms group AT&T, on the grounds that it would cut out competition and raises prices for customers. In this case, the Justice Department "wants to avoid having to intervene by way of a lawsuit," said C Kerry Fields, a business economics professor at the University of Southern California. The Academy did not reveal its response to the Justice Department's letter, but Kerry Fields suggested it "may cause the Academy to be more circumspect and cautious." "I'm sure there are many people on the Academy board that are uneasy about taking on the Department of Justice," he added. 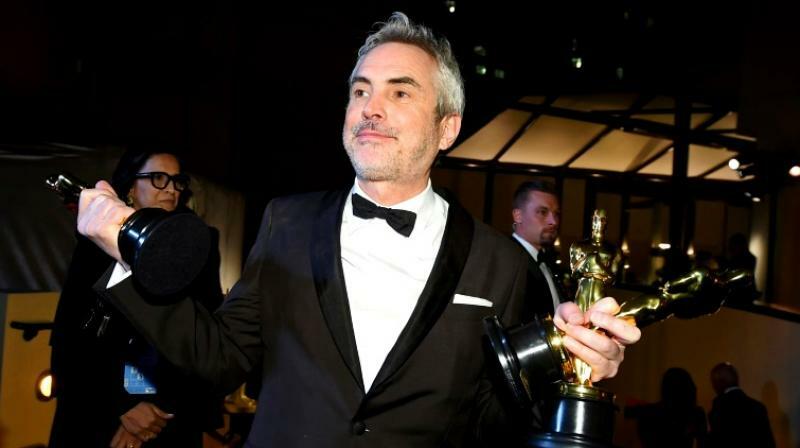 Fuelled by Netflix's haul at this year's Academy Awards, including three statues for Mexican Alfonso Cuaron's 'Roma,' underlying all this is a battle between the world of old cinema and the new world of streaming services. For Kerry Fields, it is surprising the US authorities have sided with the latter. "It is a titanesque struggle: one that pits old formats against a new one," he said. "For a lot of young people, it's the right decision but I would have thought they would have sided with the Academy," he added.